48 PC. 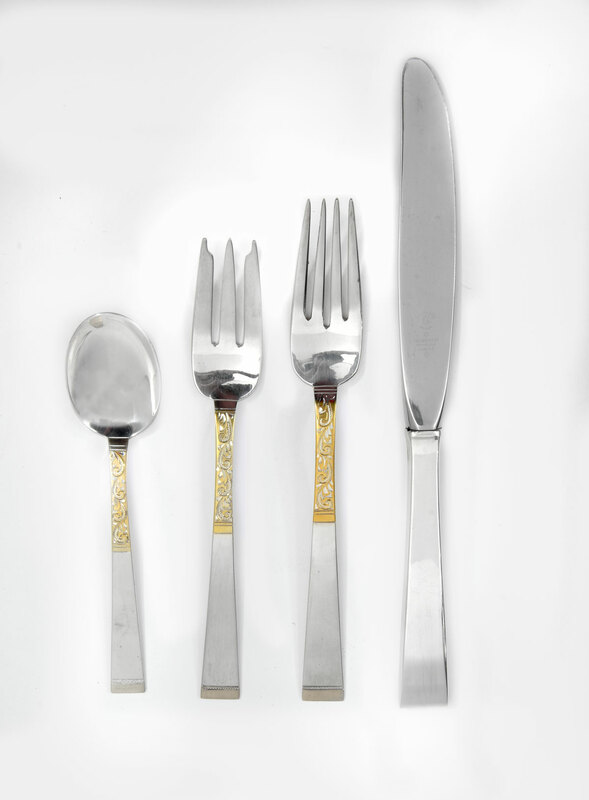 GORHAM STERLING AND 18KT. 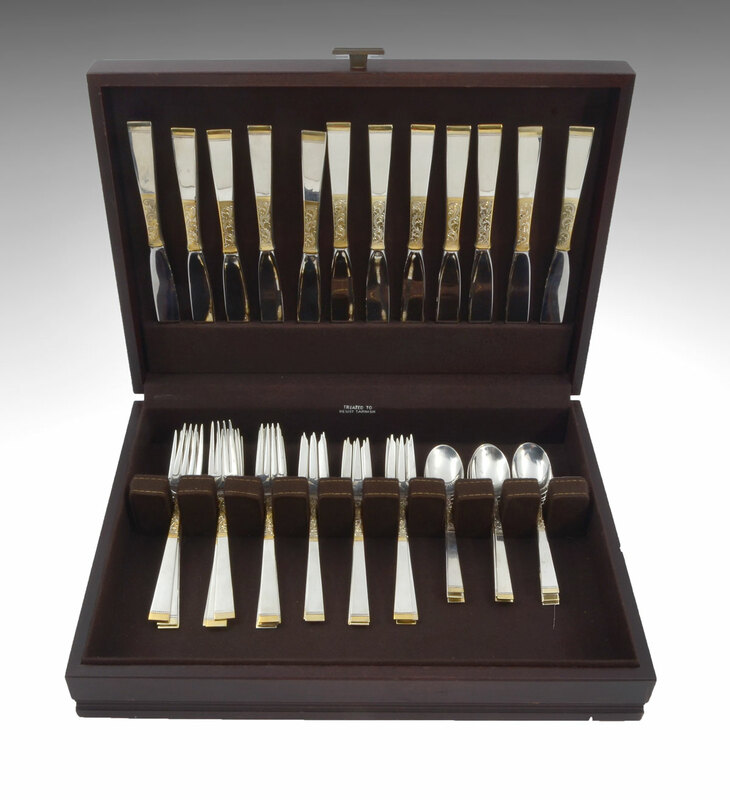 GOLDEN SCROLL FLATWARE: Comprising 12 dinner forks, 12 salad forks, 12 spoons, and 12 butter knives, all of which are in a presentation box and in the Golden Scroll pattern from 1977 by Gorham Silver Co. Box Approx. 3.25'' h x 15.75'' l x 12'' w. Approx. 63.46 troy ounces.